To mark the Milwaukee Bucks 38-win playoff season, here are the “38-wins-or-less” playoff teams from the 1975 to 2013 seasons, with an important caveat: I’ve excluded 11 teams that won between 35 and 38 games and made the 1984-1988 playoffs, listing only the two playoff qualifiers from those five seasons who lost so much they deserve mention. Those five “exempt” seasons were the first years of the 16-team playoff format when, suddenly, only 7 of 23 NBA teams missed the post-season. Somebody had to lose during the regular season, and some of those losers found themselves in the playoffs. The 1975-1983 seasons were more “apples to apples” in terms of today’s playoff format. In 1975 and 1976, ten of 18 teams made the playoffs. After the NBA-ABA merger in 1976, 12 of 22 made it. In 1980 the Mavs were added to the league and the conferences properly aligned; the 12 team format remained until the 1983-84 season. League expansion began in 1988 with the addition of Miami and Charlotte, tolling the beginning of the end of the NBA’s “Golden Age.” By 1990 there were 27 teams, 16 making the playoffs, and four expansion teams around to beat up on and puff most of the worst playoff records above our 38-44 cut-off. Note that of the 13 teams on this list, no team other than the 1976 Pistons (led by Bob Lanier) won its first round series. 1. 1986 Chicago Bulls (30-52). Michael Jordan broke his foot in the third game of his second NBA season and missed the next 64. He would come back to have a 63-point game against Larry Bird and the Celtics in the first round of the playoffs, not enough to prevent a Celtics sweep. The 1986 Celtics won 67 games, the third championship for the Bird-McHale-Parrish front court and are widely considered one of the top three or four teams in NBA history. This Bulls team had talent other than Jordan, though great it was not. Half the players ended up in rehab of one form or another, facts reported by writers Sam Smith (The Jordan Rules) and David Halberstam (Playing for Keeps: Michael Jordan and the World He Made) among others. Much of this centered around guard Quentin Dailey. Forwards Orlando Woolridge and Sidney Green were also in this group of early Jordan teammates, along with big Dave Corzine at center and Hall of Fame scorer George Gervin in his final season (16.2 ppg). Charles Oakley and John Paxson are the most notable here due to Oakley’s later success with the Knicks and Paxson’s ability to cling to Jordan’s star for three titles. 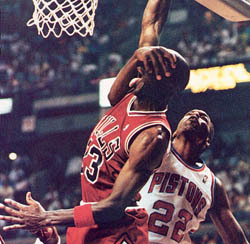 In 1986 Oakley was a rookie and Paxson had yet to solidify his future as Jordan’s pal. Stan Albeck was head coach. The Bulls had the misfortune of playing in an Eastern Conference ruled by three of the top four teams in basketball since 1980 — the Celtics, the Sixers and the Bucks — with the Pistons and Hawks rising up bit by bit each year in hopes of challenging the top. The “Bad Boys” Pistons in 1986 were still a couple of years away from their baddest phase. The NBA schedule in those years was more heavily weighted toward conference play than it is now, which made the 1986 Bulls schedule a prolonged nightmare. They played the Beasts of the East six times each, winning just six of the 30 games. The Bulls weren’t the only team in the East hammered by the schedule. A tough, talented, Buck Williams-led New Jersey Nets team could muster only 39 wins and were swept by the Bucks in the first round. Rookie Patrick Ewing’s Knicks lost 59 games. Throw out the five Beasts of the East and two losses against the “Showtime” Lakers, and the 1986 Bulls won 24 and lost 26 against the rest of the league, not too shabby for a hodgepodge group of guys playing most of the season without Michael Jordan. 2. 1988 San Antonio Spurs (31-51). The last season of the 23-team league as the expansion to Miami and Charlotte would occur in the summer of ’88. Magic’s Lakers and Bird’s Celtics remained at the top, with the “Bad Boys” Pistons shoving Boston off the pinnacle to reach their first NBA final. Some of the power balance had shifted East to West with the decline of Philly and the Bucks, along with the rise of the Dallas Mavs, creating the parity between conferences than hadn’t existed since 1980. In the East, the Bucks played their first year under new coach Del Harris and fell to 42-40. The Pistons and Hawks and Sidney Moncrief’s ailing knees had finally caught up with our Bucks. Ewing’s Knicks were getting better, and won 38 games. Jordan’s Bulls had their first 50-win season. In the West the Stockton-Malone Jazz fell short of the fifty milestone with 47 wins. Magic and the Lakers won 62 and their fifth championship. While most of the lower rung playoff teams of this period can’t be labelled “bad” by today’s standards, the 1988 Spurs were bad in any day. They were swept (3-0) in the first round by the Lakers. The Spurs best player was defensive demon Alvin Robertson, who would be traded to Milwaukee in 1989 for All-Pro (3rd Team) forward Terry Cummings. Robertson’s teammate on the Spurs, Frank Brickowski, would join him in Milwaukee in 1990, traded for Paul Pressey. Why all the trades with the Spurs? By 1990 the Spurs had center David Robinson and were trying to get to the top with help from Bucks playoff veterans, while the Bucks and owner Herb Kohl, encouraged by the pending retirement of Sidney Moncrief, opted to go a cheaper route and would slide into their long rebuild in the 1990s. 3. 1995 Boston Celtics (35-47). The Celtics were sort of rebuilding (or beginning to) after the Larry Bird era. Kevin McHale had retired in 1993. All-Star shooting guard Reggie Lewis collapsed and died of heart failure that summer (1993), and the Celtics in 1995 were still staggering under allegations that he might have been saved, had the team (and those close to Lewis) not been so eager to dismiss evidence that Lewis was at risk, to the point of avoiding tests for cocaine use (Money Players, “Puff Policy,” 1997, by Armen Keteyian and other journalists). 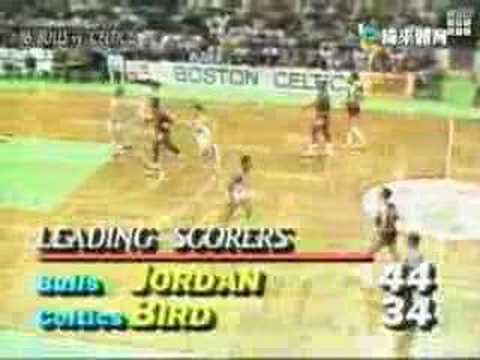 In an effort to fill the void left by Lewis’ death, the Celtics signed 35-year-old Dominique Wilkins, not flying as high as he did with the Hawks in the 1980s but scoring 17.8 ppg to lead the team. Coached by Chris Ford. Dumped out of the playoffs (3-1) by Shaq’s Orlando Magic, who would go on to be swept in the Finals by Hakeem Olajawon’s Rockets. 4. 2004 Boston Celtics (36-46). All that losing in the mid-1990s brought draft picks and an effort to build a contender around the would-be duo of Antoine Walker and Paul Pierce, who instead became symbols of post-Jordan NBA mediocrity. The 2003-04 season found the Celtics tearing down again and trading Walker, one of the least scrupulous shot hogs in the game. That left Pierce, listed as a shooting guard then, and boy did he ever. Pierce shot nearly 19 times a game – and missed 11 – shooting less than 30% from three-point-land and averaging 23 ppg. The Celtics fired coach Jim O’Brien after 46 games and assistant John Carroll mopped up. These were rather dark days for the NBA. The pace was at an all-time low. Average and below average shooters bricked away at will and somehow made all-star teams. Ball movement was often non-existent, a trend that continued for years. Assists would reach an all-time low in 2006. Kobe and Shaq bickered in LA and guys like Walker, Pierce, Allen Houston and the Bucks’ Michael Redd gunned poorly selected shots out of isolation offenses, winning big contracts if not playoff success. Orlando Magic star Tracy McGrady was the best of this lot, yet all of it was ugly basketball. The 2004 Celtics were a bad team in an Eastern Conference that had deteriorated rapidly in the early-aughts. The 4th seeded Miami Heat won just 42 regular season games. But hey – former Buck Vin Baker was on this Celtics team for a few weeks in 2003. Kendrick Perkins was a rookie. The Celtics were swept in Round 1 by 38-year-old Reggie Miller’s second-to-last Pacers team, about seven months before the “Malice at the Palace” in Detroit. Dark days indeed. 5. 1997 Los Angeles Clippers (36-46). Loy Vaught (who? – I can’t even find a picture of him) led this team in scoring at 14.9 ppg. Forwards Bo Outlaw and Eric Piatkowski led a halfway decent bench crew. Coached by Bill Fitch, somehow still in the league. The Western Conference was none too balanced in those days, as the Clippers were one of three teams from the west to make the playoffs with a losing record. The T-Wolves (40-42) in Kevin Garnett’s second year and the post-Charles Barkley Suns (also 40-42) were the others. The Clippers were swept out of the first round by the Stockton-Malone Jazz, fated to go on to lose their first of two NBA Finals to Jordan and the Bulls. 6. 1976 Detroit Pistons (36-46). This might be getting a bit far back — the league that existed prior to the merger with the ABA — but 1975 and 1976 get our deepest historical look because the 1971-74 playoff format allowed less than half the league to qualify (8 of 17 teams, so no real losers). This changed in 1975, with the addition of the New Orleans Jazz and the short-lived 10 of 18 format. In the 1975 and 1976 seasons, a total of four teams with losing records made the playoffs. Another quirk was the regular season schedule, heavily weighted toward division play instead of conference play. Midwest Division teams the Bucks, Pistons, Bulls and Kansas City Kings played each other seven times in the season, 36 games against the nine teams in the Eastern conference and 25 games against the Pacific Division. This is as equalized as the NBA schedule has ever been. To further emphasize the importance of division play, the top two teams in each division received a playoff bid, with a 5th seed going to the team in the conference with the next best record. So a team in the Pacific division with a better record than either of the Midwest Division leaders could miss the playoffs entirely. This happened to Kareem Abdul-Jabbar and the Lakers in 1976. The playoff teams with the two worst records, regardless of division standings, would then face off in a wild card mini-series, best two out of three. A pretty good system if you think divisions should matter, a belief the current NBA schedule makers clearly do not hold. Bob Lanier’s Pistons won 40 games in the 1975 season and 36 in 1976, making them the model of mid-70s NBA mediocrity. But “mediocrity” in the mid-1970s when you had a Hall of Fame center meant that you were pretty competitive when the center was healthy. Lanier missed 18 games in 1976 and the Pistons lost 12 of those. Detroit in 1975 had also traded star veteran guard Dave Bing (another Hall of Famer) to the Bullets for young point guard Kevin Porter (who would lead the NBA in assists for the Pistons a few years later) but Porter was lost to injury 19 games into the season and the Pistons struggled. Coach Ray Scott was fired and replaced by Herb Brown, and Brown found 20-year-old point guard Eric Money on his bench to fill in for Porter. Led by Lanier, power forward Curtis Rowe and Money, the Pistons won 10 of their last 13 games and nearly caught the Bucks (38-44) atop the Midwest Division. As the playoff teams with the worst records in the West, the Bucks and Pistons squared off in a first round mini-series. The Bucks were in their first season after “The Trade” of Kareem Abdul-Jabbar and were young, hungry and very nearly a match for Lanier and the Pistons. Lanier and Rowe dominated the Bucks inside (a familiar story for the ever-power-forward-challenged Bucks) while the Bucks guards, led by All-Star Brian Winters, bombed away from the outside (remember, no three point line yet in the NBA) and came within a shot of winning the series. Detroit won it in Milwaukee in game three, to what would become typical Bucks heart-stopping and heart-breaking effect. The 1976 Pistons really have no business being on this list, but the 1976 Bucks do (see No. 11 below) so I included both. The Pistons went on to lose (4-2) in the second round to Rick Barry’s Golden State Warriors, the defending champs. Lanier averaged 26.1 ppg and 12.7 rebounds in nine playoff games, Hall of Fame numbers from a highly skilled center who was perhaps the strongest big man in the league for many years. Power forward Rowe added an average of 15 pts and 8 boards on the Pistons run. 7. 2011 Indiana Pacers (37-45). Another Jim O’Brien team, this one led by Danny Granger in the role of Paul Pierce, and playing the same ugly style of 2004. This time coach O’Brien lasted to game 44 amid a lot of grumbling from GM Larry Bird that he was refusing to play his younger players, Tyler Hansbrough and rookie Paul George among them. Replacement coach Frank Vogel did more than mop up O’Brien’s mess, as the Pacers went 20-18 the rest of the way, edging out the injury-riddled Bucks (35-47) for the final spot in the East. The Pacers were simply not a very good team until the arrival of David West and George Hill for the 2012 season, with Vogel as the coach. Dismissed in five games by Derrick Rose and the Bulls in Round 1 of the 2011 playoffs. Only made the playoffs because of the injury epidemic in Milwaukee. 8. 1979 New Jersey Nets (37-45). From the land of the final season before the 3-point line was drawn on NBA courts comes the 1979 Nets, coached by Kevin Loughery and featuring the unstoppable mid-range post-up game of Bernard King. King was young, in his second season, and top scoring honors went to guard John Williamson (22.2 ppg), a Net from the ABA days of Dr. J and one of the better long-range shooters of the time. King and Williamson didn’t have much help beyond assorted journeymen like big man George Johnson (not to be confused with the George Johnson who played for the Bucks in 1978-79), the above mentioned Eric Money, acquired from Detroit, and aging zen power forward future Jordan-Shaq coach Phil Jackson in his 15th and almost-final playing season. Jackson just didn’t want to quit (he finally would in 1980). One has the impression that the guys on this 1979 Nets team partied down quite a bit (though not King, who was known for heavy drinking alone), and their record seems to reflects this. Personalities noted, the Nets were a fast, fun team that locked down on defense (3rd in the league) and pushed the pace to 110 possessions a game, about 12 more than the Golden State Warriors of today. Unfortunately the Nets were the worst shooting team in the league and turned it over more than every team but Chicago. They would trade Money and guard Al Skinner to Philly in February for future shot-blocking Buck Harvey Catchings and former ABA star Ralph Simpson. The Julius Erving-led Sixers swept the Nets out of the 1979 playoffs, 2-0, and the Nets began a full-scale rebuild. King’s knee problems began the following season, after he was traded in preseason to Utah along with rookie point guard Jim Boylan (yes, the same Jim Boylan who was Al McGuire’s favorite point guard, Scott Skiles’ favorite assistant, coach of the Bulls and Bucks and now an assistant with the Cavs) and John Gianelli for big man Rich Kelley. Gianelli had come over from the Bucks in a post-season trade for Catchings, along with a first round draft pick that would become Calvin Natt in 1979. Confused? Me too, especially about why Don Nelson traded that draft pick. The Bucks had received the Pacers 1979 pick as compensation for the free agent signing of future Hall of Famer Alex English in 1978. 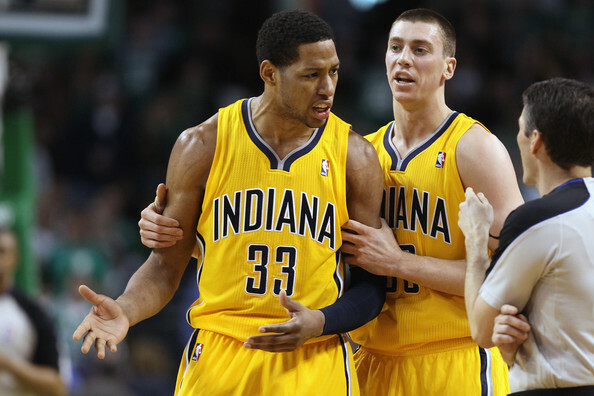 The Pacers had a lousy season, so it turned out to be the No. 8 pick in the draft that gave the NBA Magic Johnson, Bill Cartwright, Sidney Moncrief, Vinnie Johnson, Bill Laimbeer, Mark Eaton, Natt and a few other notables). Boylan would never play an NBA game. Kelley would never develop into more than a journeyman center. The Nets would slide to the bottom of the East, but with draft picks obtained by trading young Natt to Portland for Maurice Lucas (Lucas was the power forward Nellie and the Bucks should have targeted), they would draft Mike Gminksi (1980) and Bernard King’s brother Albert (1981). 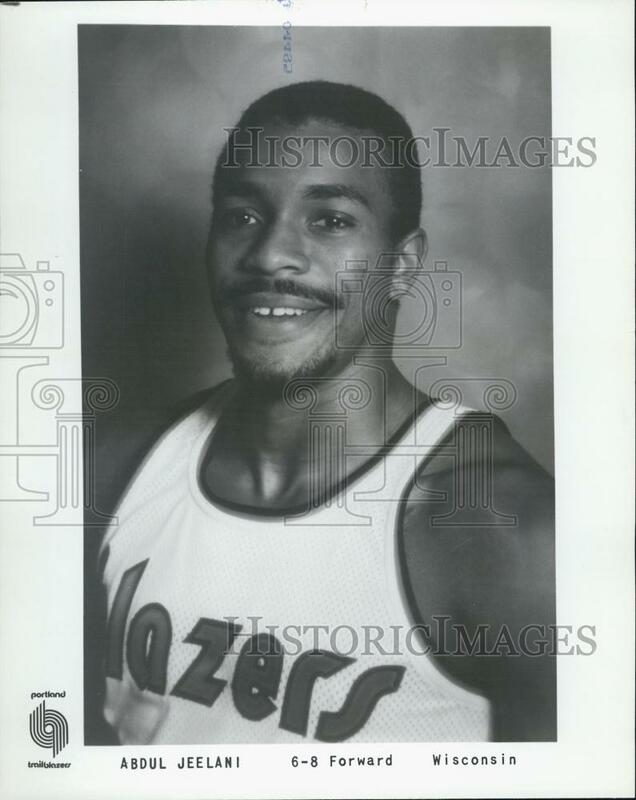 Natt would become an All-Star in Denver of all places after being traded by Portland, along with Fat Lever and others, for Kiki Vandeweghe. English would make the Hall of Fame in recognition of a long career scoring a mountain of points for run-and-gun coach Doug Moe in Denver. Bernard King would recover from knee trouble and alcoholism to star for the Golden State Warriors and New York Knicks and eventually join English in the Hall (2013). Catchings would be the goat in the Bucks 7-game, one point, playoff loss to Philly in 1981 (3-16 shooting, 24 fouls and 7 turnovers in 109 mins, leading to jokes that he had never left his old team, the 76ers). Yet Harvey would continue play on 13 years in the NBA and block 1226 shots, which is quite a few of those. 9. 2008 Atlanta Hawks (37-45). 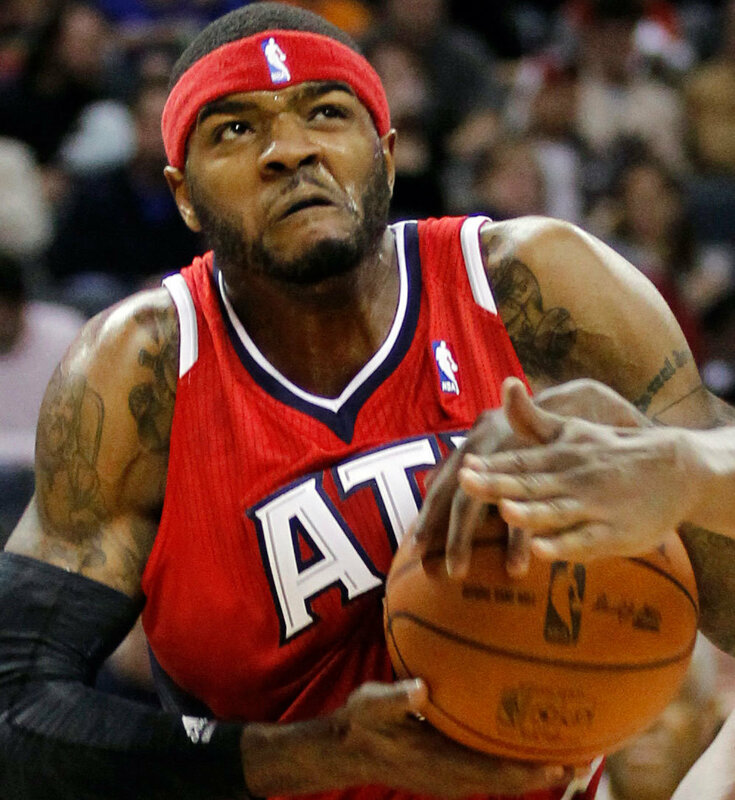 The first playoff appearance for the young Al Horford-Josh Smith Hawks (featuring Joe Johnson), and it was a good one, with the Hawks pushing the “Big Three” Celtics (the 2008 champs) to seven games in the first round. Horford was 21-years-old and Smith 22, and the Hawks were on the rise, something that can’t be said about nearly all of the teams on this list, 1986 Bulls excepted. The Hawks became one of ESPN’s “it” teams. “It” was not to be. Although some remarkable good health eventually resulted in a 53 win season in 2010, playoff success eluded the Hawks. After beating the Celtics three times in the 2008, they couldn’t win a playoff game against anybody but the Andrew-Bogut-less 2010 Bucks, who were in the process of bum-rushing the Hawks out of the playoffs until game six when they forgot how to shoot. The Hawks made it to the second round in 2011, were out in the first again in 2012, let Johnson go to Brooklyn rather than overpay him like the Nets did, and now 2013 is the end of the line for Smith (and Zaza Pachulia too) as the team looks to build a better roster around Horford. Back in 2008, the future didn’t look anywhere near as dim as it would be for Atlanta. 10. 1980 Portland Trailblazers (38-44). 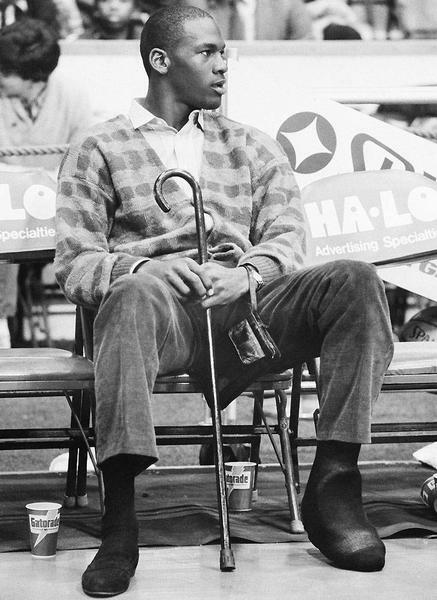 This was the season after the Blazers parted bitter ways with the center Bill Walton and his fractured feet and let him sign with the Clippers of San Diego, Walton’s hometown. The Clippers compensated the Blazers with players (Kermit Washington the most compelling) and two first round picks. Walton sued the Trailblazers for medical malpractice. By the 1980 mid-season the Blazers had broken off other key pieces of their 1977 championship roster. Power forward Maurice Lucas, the star of the 1977 finals, was traded to New Jersey, along with two first round draft picks, for rookie forward Calvin Natt, who became the Blazers leading scorer. 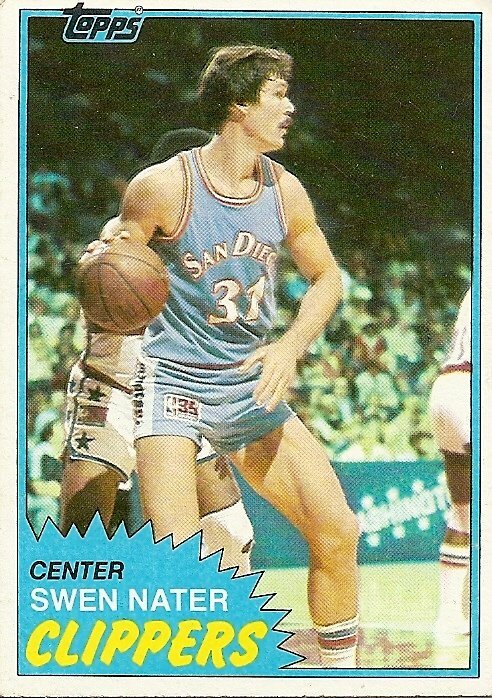 Natt was drafted with the first round pick the Bucks had sent to New Jersey along with John Gianelli in the Harvey Catchings trade. Point guard Lionel Hollins (now coach of the Grizzlies Nets himself) was traded to Philadelphia, where he joined Maurice Cheeks in the Sixers backcourt and helped spark the Sixers run to the 1980 Finals (where they lost to the Lakers, featuring Magic Johnson’s sensational game six at center and everywhere else on the court for injured Kareem Abdul-Jabbar). The Blazers were left with an interesting mix of rookies and journeyman veterans, including a redemptive Washington (notorious for throwing the punch that almost killed the Rockets’ Rudy Tomjanovich in 1977) who played 80 games. Pulitzer Prize-winning journalist David Halberstam would follow the team for the entire season and prologue, and publish The Breaks of the Game (1981), still considered the masterwork of pro basketball journalism, biography and history. One of the more interesting characters was rookie forward Abdul Jeelani, a recent convert to Islam who grew up in Racine (as Gary Cole) and played college ball at UW-Parkside. That’s right, Parkside in Kenosha, Wis., an NAIA school at the time. A long-armed 6’8″, Jeelani was precisely the type of productive, scoring bigger forward who would be a natural for an NBA roster today, earning a salary of $8 million a year or more. But things were different in the mid-1970s. The available NBA jobs were fewer (rosters were cut to 11 players in 1977) and the money sweeter in Europe. Jeelani had failed to make NBA rosters twice, gone on to play in Europe, and was back for a third try at age 25. Despite the trimmed down roster, he made the team, and after a solid season in Portland with some high scoring flashes, Jeelani — much to the surprise of the Blazers, who wanted to keep him — was picked up by the Dallas Mavericks in the expansion draft. After Dallas, expansion was halted for eight years as the NBA went to work with what it had in the new decade: 23 teams in a meaner, leaner league filled with often brilliant players, all searching for an audience in a slow economy. Attendance had fallen and TV ratings were very low; there were problems attracting advertisers, problems with national network (CBS) priorities and presentation; and a number of franchises found themselves struggling under the financial strain of the new order — free agency. But Bird and Magic had arrived, and the game itself was undergoing a creative renaissance sourced in teamwork and great passing, with a series of strong drafts growing the talent each season. The 200-some players holding down NBA jobs coming out of the late 1970s would cut the diamond that Michael Jordan and the Dream Team marketed to the world. Jeelani would be one of the 200 for only one season in Dallas, where he was one of only four players to remain on the team from training camp to the end of the season. He scored the first bucket in Mavericks history, and got used to hearing chants of “Abdul” from the home fans. Gary Cole from Racine, Wis., had changed his religion and his name; encountered rejection; traveled the world; and returned to try again in the league that rejected him, making the cut during its lean recessionary times. And as a young follower of Islam, he became a fan favorite in Tom Landry and Roger Staubach’s good ol’ boy christian conservative Dallas. That’s one heckuva story. The only problem was Jeelani’s salary of $57,000, which was far easier to double in Europe than in the NBA. In Europe Jeelani was a star; in the NBA, he was a mid-level player who usually came off the bench, and economic times were still tough in 1981. 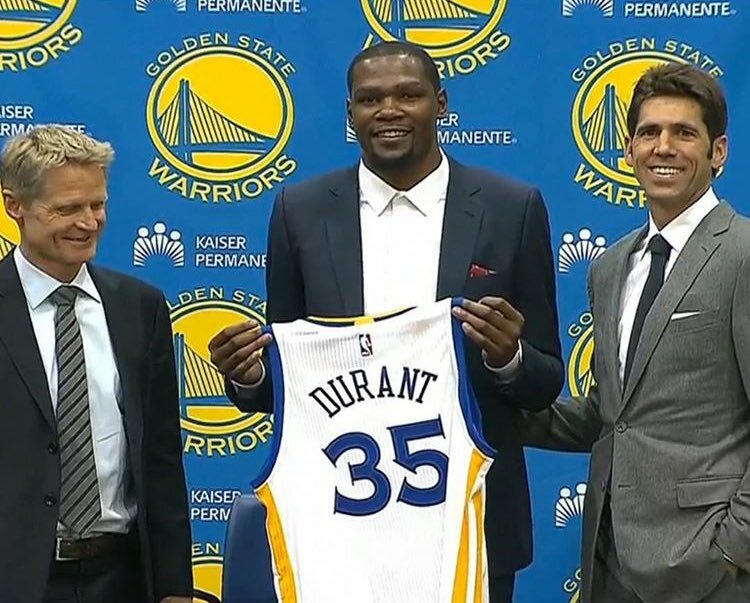 He would move on to play in Italy and Spain for the better part of the next decade. The 1979 Blazers bowed out in the first round (2-1) to the Dennis Johnson-Gus Williams-Paul Silas-Jack Sikma Seattle Supersonics, the eventual champs. 11. 1976 Milwaukee Bucks (38-44). First season after the Kareem trade, the young Bucks were led by All-Star forward Bobby Dandridge, great-shooting Brian Winters and center Elmore Smith, the latter two acquired in “The Trade” along with Junior Bridgeman and power forward David Meyers. The Bucks, coached by Larry Costello, won the 1976 Midwest Division without Kareem, largely owing this to the Pistons early season injury troubles (see above). Kareem’s Lakers actually failed to make the playoffs despite having a better record (40-42) than both the Pistons and the Bucks. In the divisional playoff format of 1976, the Lakers had to catch Phoenix to win the fifth and final seed in the West but lost four of six to the Suns in the regular season and fell two games short. Not a good year for Kareem or the Midwest Division, obviously, but the playoffs redeemed Lanier’s Pistons. Against Detroit in the first round, the Bucks opted to bomb away from the outside and, thanks to some phenomenal shooting, managed to steal game one and then leave fans hyperventilating in Games 2 and 3 with three point losses in each. Winters, a 1976 and 1978 All-Star, shot 63%, averaging 27.3 points per game in the series — without the aid of the 3-pointer. Dandridge netted 22 per game on 49% shooting and guard Gary Brokaw shot 62.2% for 21 ppg. Improbably, given those shooting percentages, it wasn’t quite enough. This was Costello’s last full season as Bucks coach. Don Nelson, who was busy helping the Celtics win the 1976 title in his final season as a player, joined Costello’s staff for the 1976-77 season, and the head coaching job fell in Nellie’s lap early on. The Bucks kept the core of Winters, Bridgeman and Meyers, let Dandridge go to the Bullets in free agency (received cash compensation), and launched full-on into the “Green and Growing” rebuilding plan. Nellie and GM Wayne Embry traded Brokaw and Elmore Smith to Cleveland for Rowland Garrett and two first round picks, one in 1977 (Ernie Grunfeld) and one in 1978 (George Johnson). They drafted Quinn Buckner and Alex English in 1976, then Nellie traded monster rebounding center Swen Nater (their 1973 draft pick, who had been playing in the ABA until the merger) to the Buffalo Braves for the No. 3 first round pick that would be used to draft forward Marques Johnson in 1977. When Marques arrived the Bucks started winning and the rest, as they say, is history. those were the days to be a young Bucks fan. The Bucks became a perennial contender after drafting Sidney Moncrief in 1979 and acquiring Lanier from Detroit in 1980. 12. 1992 Miami Heat (38-44). First playoff trip for the expansion heat. Glen Rice wasn’t a 50-40-90 shooter this season (the Bird-Dirk-Durant standard) but he wasn’t too far off at 47-39-84. Rice led the fledgling Heat with 22.3 ppg, getting help from center Rony Seikaly and rookie gunner Steve Smith. 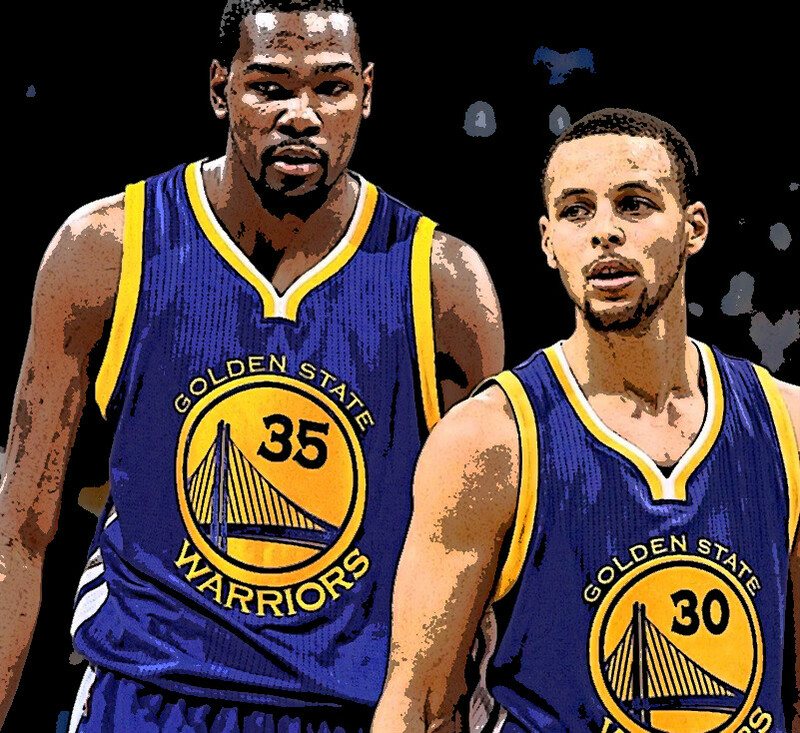 The Heat would try use those three as a base to build a winner; they would not succeed. The Heat started winning when Pat Riley took over in 1995 and completely overhauled the roster, including the core three. The 1992 Heat were coached by Kevin Loughery, same Loughery who coached the Nets in the 1970s and Jordan’s Bulls in 1986 (see Nos. 1 and 8 on this list). Swept in the first round by Jordan and the Bulls on their way to title No. 2. 13. 2013 Milwaukee Bucks (38-44). What will history say about this Bucks team? Their coach, Scott Skiles, quit/was let go 32 games into the season after putting his house up for sale and declining to sign a contract extension. The interim coach, Jim Boylan (the same Jim Boylan who was included in that 1979 Bernard King trade) played his team fast and loose and continued to develop good, young big men (Larry Sanders, John Henson). But the Bucks’ trio of guards shot too poorly overall and played too little defense down the stretch to avoid a first round series against the defending champs, the Heat. The Bucks lost 15 of their last 21 games, and few expect Boylan back as coach (Boylan was fired after the Heat dismissed the Bucks from the playoffs in a 4-0 sweep). There are worse teams on this “38 or less” playoffs list, to be sure (Jim O’Brien’s teams come to mind), and better teams too. Three of them were coached by Kevin Loughery, so coaching quality is a factor. Weirdly enough, Jim Boylan is a recurring character in this post, as is long forgotten point guard Eric Money. The common thread for these teams is that they were all in transition, most of them on the way down, not up or sideways. Those sideways teams that stayed the course, such as the 1976 Pistons and the 1992 Heat would break up their teams within three years. It will happen this summer in Atlanta. It may happen soon in Indiana, too, though not this season. History shows that mediocrity in the NBA plays itself out to sub-mediocrity, unless your Hall of Famer can stay healthy, and the Bucks don’t have one of those. They don’t even have an Al Horford or a Glen Rice, not to say that Sanders can’t get better (this statement looks funny two years later). The current situation says the Bucks won’t win in the long or short run with Brandon Jennings, Monta Ellis and J.J. Redick’s disparate jump-shooting tendencies. Whatever happens with the rest of the Bucks roster, the series against the Heat should be the last time we see the guard trio play for the Bucks. This entry was posted in Bucks History, Essential Reading, NBA Playoffs, The Jinx and tagged Abdul Jeelani, Al Horford, Alex English, Alvin Robertson, Antoine Walker, Atlanta Hawks, Bernard King, Bob Lanier, Bobby Dandridge, Boston Celtics, Brandon Jennings, Brian Winters, Chicago Bulls, Curtis Rowe, Danny Granger, David Meyers, Don Nelson, Eric Money, Gary Brokaw, Gary Cole, George Gervin, Glen Rice, Harvey Catchings, Indiana Pacers, J.J. Redick, Jim Boylan, Jim O'Brien, Joe Johnson, John Gianelli, John Henson, John Williamson, Josh Smith, Kareem Abdul-Jabbar, Kermit Washington, Kevin Loughery, Larry Bird, Larry Costello, Larry Sanders, Loy Vaught, Maurice Lucas, Miami Heat, Michael Jordan, Milwaukee Bucks, Monta Ellis, New Jersey Nets, Paul Pierce on April 21, 2013 by J.D. Mo. “… It just feels like failure,” said John Salmons this week as the Bucks prepared for the final game of a season that has, in no uncertain terms, been a failure. For Salmons, in particular, the 2010-11 has been a long struggle to find a shooting groove and consistency within Scott Skiles’ perimeter oriented pick-and-roll offense. Salmons, like many Bucks, played through injuries, and, though he played 73 games before it was said and done, the Fish was only healthy for half of those, and fewer still with a healthy Brandon Jennings in the backcourt. A cold 4th quarter shooting here, a bad bench run there, dead-end finishes in Philly Jan. 14 and in Charlotte March 28, a defeat at the buzzer in Cleveland in November, a 6-and-10 record in their own weak division and the Bucks earned the shame of seeing the Pacers play the Bulls in the playoffs, Round One. Weren’t the Bucks expected to be the Bulls rivals this season? Indeed they were, and to a certain extent they still are: Centers Andrew Bogut and Joakim Noah, the heart and soul of whatever the current Bucks-Bulls have become, aren’t going anywhere. Brandon Jennings vs. Derrick Rose? We’ll get back to you on that. Scott Skiles, the coach who ran the Baby Bulls in Chicago (2003-2007) will be here for next season, according to Bucks GM John Hammond. Whatever the outcome, a Bucks-Bulls playoff would have been a nice consolation prize in the Bucks battle for NBA relevance. No, it would not have made this season’s Bucks relevant — but a series against the Bucks’ natural rivals down I-94, boasting the certain league MVP, Rose, would have at least helped keep Milwaukee on the NBA map, a place where they’ve not often been since that Bucks-Bulls playoff series 21 years ago. By the 1989-90 campaign, the Bucks had traded Terry Cummings for Alvin Robertson and Sidney Moncrief was an Atlanta Hawk. The Ricky Pierce-led Bucks were a mere shadow of the Central Division leading Don Nelson teams. Michael Jordan’s Bulls, in Jordan’s fifth season, had become contenders, though the Bad Boy Pistons in Detroit ruled the East as Larry Bird’s career waned. Patrick Ewing patrolled the paint in New York. The Bulls won the first round series 3-1, cementing the Del Harris era Bucks teams as playoffs also rans — same as it’s ever been in Bucks-Bulls history. When one franchise is up, the other is down, more often than not due, in part, to the success of the other. This was the story this year as the Bulls not only swept the Bucks 4-0 in the season series but dropped a key late season game to the Pacers in Indiana that helped the Pacers take the inside track in the race for eighth. … Same as it ever was for the Bucks and Bulls. If the rivalry was ever bitter, it was in the early-to-mid 1970s, when the Lew Alcindor/Kareem Abdul-Jabbar Bucks, realigned to the Western Conference and found Nate Thurmond (guarding Kareem at left) Bob Love, Jerry Sloan, Chet Walker and Norm Van Lier waiting for them in the Midwest Division (Thurmond would come later, in 1974-75). As rivalries go, however, it was awfully one-sided, the Bulls unwilling patsies and annual runner-ups to the Bucks’ division dominance. They met once in the playoffs, a four game sweep by the Bucks in the 1974 Western Conference Finals. If there was bitterness, it was all Chicago’s. (See notes on the 1974 series from Kevin below). From then on, the rivalry continued on its see-saw way as the Bucks rebuilt after the Kareem trade and the Sidney and Marques dominated the Central Division of the early 1980s (the firing of Jerry Sloan as Bulls coach part of that history). In the mid-1980’s, Sidney and Terry Cummings held back the Bulls in Jordan’s early years, the Bucks finally relenting to Moncrief’s bad knees and, of course, to Jordan. Jordan’s teams dominated the Glenn Robinson-Ray Allen Bucks in the 1990’s, while the Big Three Bucks returned the favor after Jordan left in 1998. The Redd era Bucks were Central Division doormats while Skiles built the Baby Bulls. In 2008 both teams were terrible. Since then, if the Bucks were struggling, the Bulls were on a roll; if Rose had a bad ankle, Andrew Bogut was leading the Bucks into the playoffs. This season, more of the same. MVP-in-waiting Derrick Rose and his Bulls rocketed to the top of the Eastern Conference while the Bucks were only as good as a one-armed Andrew Bogut and sophomore-slumping Brandon Jennings could make them. Too often, that wasn’t very good. The Bucks won 28, lost 37 in games Bogut played. Yet they had their chances. And same as it ever was, this rivalry with the Bulls that seems like such a natural for the Bucks, will have to wait another year. Only this time, the looming NBA lockout may make the wait longer. This entry was posted in Bucks History, NBA Playoffs, The Jinx and tagged Andrew Bogut, Bob Love, Brandon Jennings, Chicago Bulls, Del Harris, Derrick Rose, Don Nelson, Indiana Pacers, Jerry Sloan, Joakim Noah, John Hammond, John Salmons, Kareem Abdul-Jabbar, Michael Jordan, Nate Thurmond, Scott Skiles, Sidney Moncrief on April 14, 2011 by J.D. Mo.